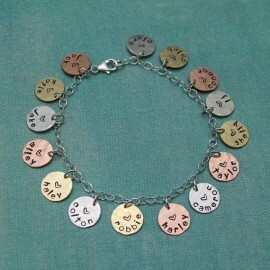 I named this after the first person I designed it for. 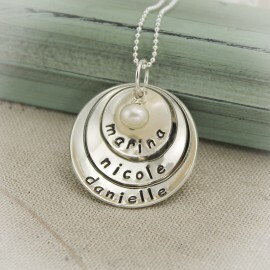 Chrissy's mother goes by Nanny. 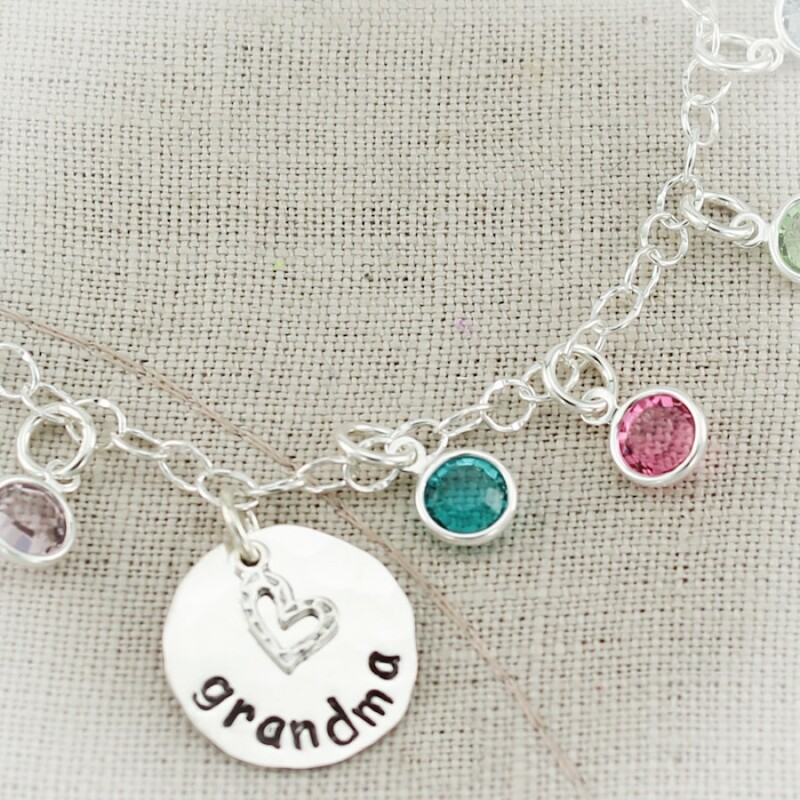 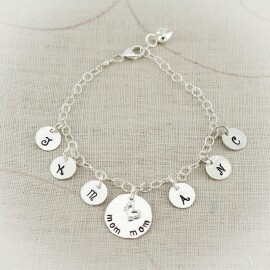 If you have as many grandchildren as Nanny, this bracelet is perfect for you. 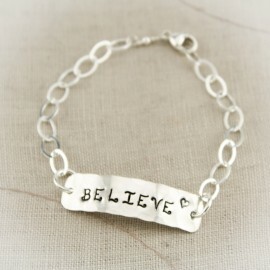 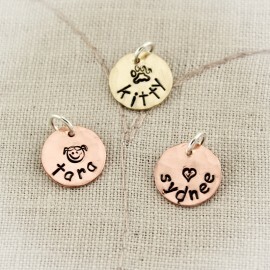 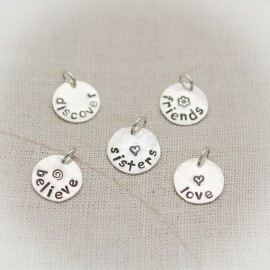 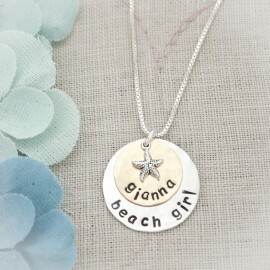 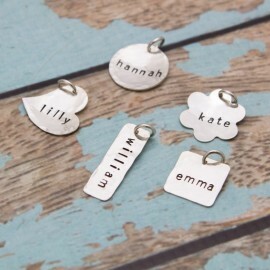 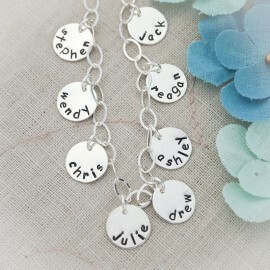 A 3/4 inch hammered sterling silver disc is hand stamped with the name or word of your choice. 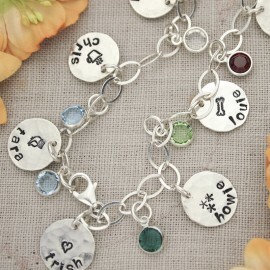 A sterling silver charm is layered on top of the disc and attached to the center of the bracelet (see choices below). 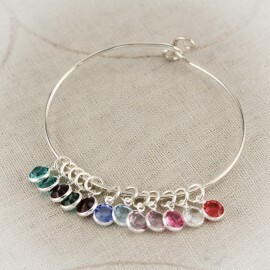 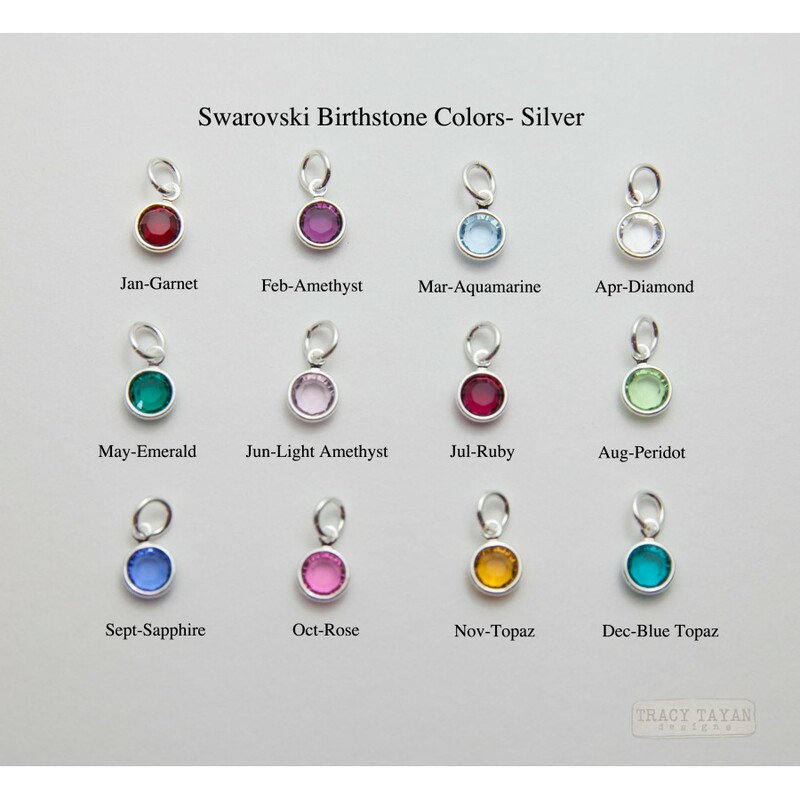 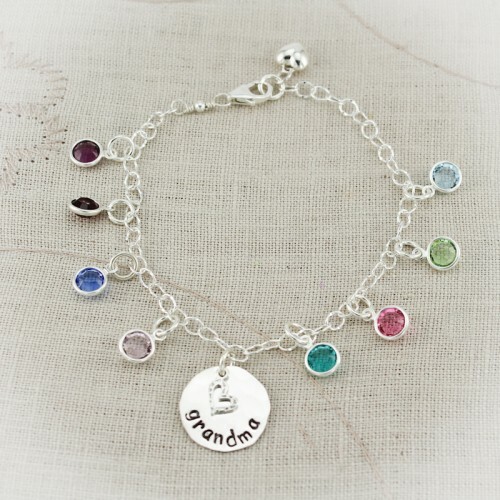 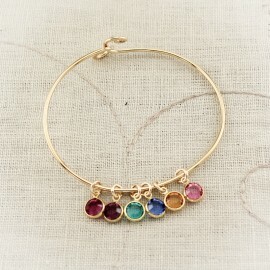 Bicone Swarovski crystal birthstones representing each child or family member surround the disc. 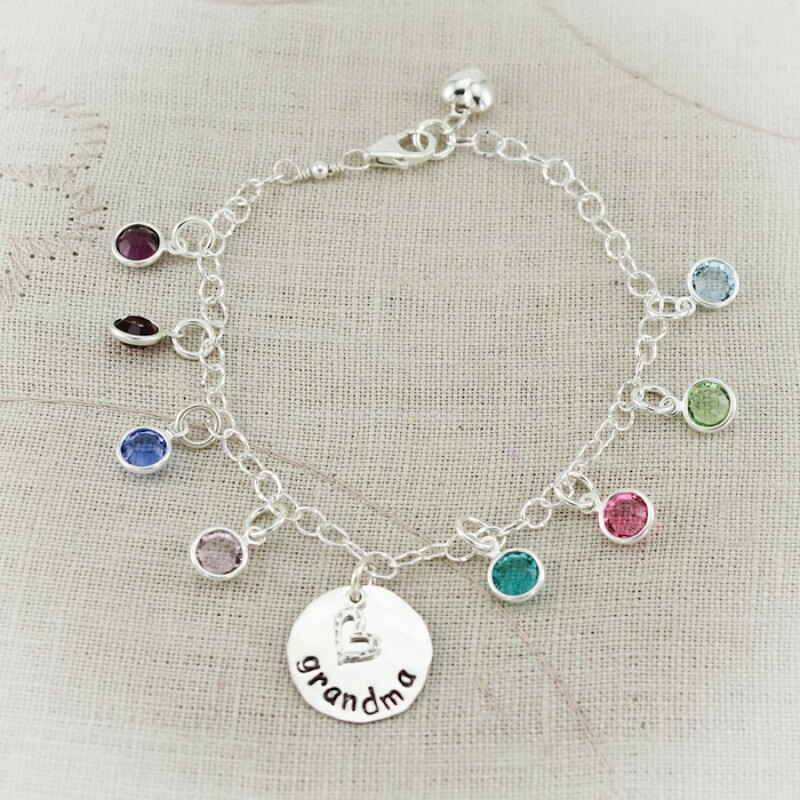 An optional sterling silver heart charm finishes the end of the bracelet. 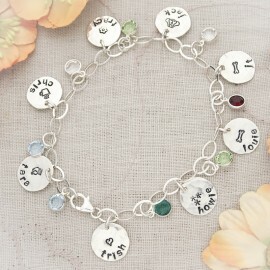 Prices begins at $36.95 for bracelet with disc and charm, then go up from there depending on number of crystal charms. 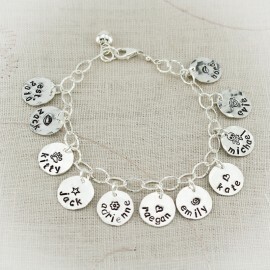 Would you like the heart charm at the end of the bracelet?